At True Fitness, we are dedicated to helping you achieve a healthier lifestyle. With our wide range of fitness programmes, state-of-the-art facilities and a passionate team of personal trainers, we cater to your every need in pursuing your fitness goals. 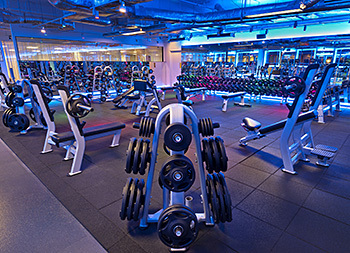 True Fitness Singapore spans across 7 conveniently located fitness centres (with 2 new centres by 2020). Offering a wide range of classes, choose from Yoga, Hot Yoga, Aerial Yoga, Spinning and other Group Exercise classes that will suit all fitness levels. 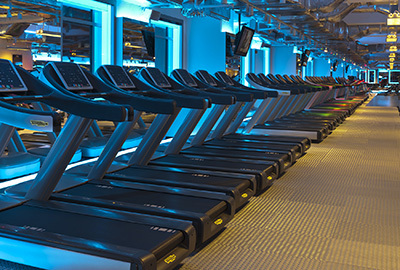 You can also achieve a satisfying workout in our gym – equipped with the latest state-of-the-art cardiovascular training equipment with integrated TVs and iPods links. A comprehensive array of strength and resistance training equipment plus dedicated areas for free weights, functional training and stretching give you the freedom to vary your training. For a more customized workout to achieve your individual goals – whether in weight loss, sports performance or rehabilitation - True Fitness provides a wide range of Personal Training programs that include TRX® Suspension Training, 1-Vest, Kickboxing and Synrgy360™ Workout Express. Or you can choose to engage in Pilates Reformer trainings in dedicated private studios for a mind and body conditioning program. Request for a free trial today! DBS My Preferred Payment Plan – Pay for your membership with 24 month 0% payment plan when you use a DBS/POSB Credit Card! Click here to apply.